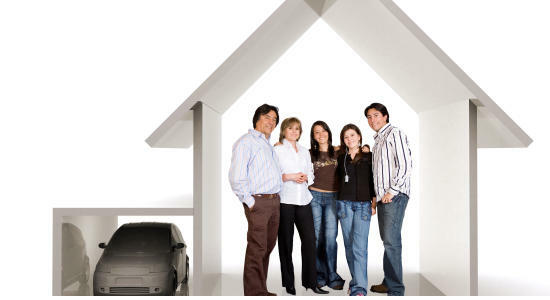 First, to avoid confusion, a homeowners and auto insurance in one policy is not possible. The combination or “bundling” as some call, just means that both auto and home insurance policies will be procured from the same insurance company. Know the pros and cons of combining or “bundling” your insurance coverage. Insurance companies offer discounts which are 5%-20% off the insurance policy if you get both the homeowners and auto insurance from them. While others may not give out discounts, they compensate this in the form of incentives. To illustrate: If your premium for home loan is $100 and auto insurance is also for the same amount, the insurance company may grant a discount. Assuming the discount is 20%, then you only have to pay $160 for both policies instead of $200. Processing your insurance and even having only one insurance agent for these two different policies is more convenient. Claiming for either will also be easier because you are already more familiar with their processes and the places where you have to go and file claims. You may not have to present other requirements when you decide to get the other insurance policy because they already have your records on file. Paying only one company for all your insurance policies can save you time in sorting out and paying your premiums. When you have bundled several insurance policies, the installment payment due will be scheduled all at the same time. It would be more convenient to pay on one date than pay several premiums on several different dates. Insurance companies might lure you into availing of other add-ons under the pretext of saving money. You might be adding insurances that are not necessary or even those that are not even of use to you. Some smart insurance companies would even require you to avail one of the add-ons to be able to obtain the bigger discounts in your primary policies. Be wary of these offers. It will be quite the hassle if your current company does not offer bundling when you are raring to bundle your policies. You will have to shop for another insurance company which offers it. Think about it first, spend a few hours researching before making the big switch. Compare and contrast, take advantage of the free quotes and then decide.